The Vitalin team will be out and about at Countryfile Live promoting their premium dog and ferret food ranges as well the launch of their new cat food. Held at Blenheim Palace in Oxfordshire, August 4 to 7 the event promises to be a treat for all countryside enthusiasts. 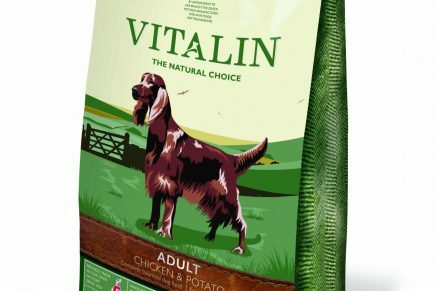 All 2kg sizes of Vitalin dog and ferret food will be available at a special offer price of £3.00 while new Vitalin cat 1.5kg bags are priced at £5.00 throughout the event. Nutritionists at Vitalin have created a range of super premium dog foods that are specially formulated hypoallergenic recipes that cater to a dog’s wellbeing and health. The range includes Puppy, Sensitive, Adult, Senior/Lite and Adult Large Breed. 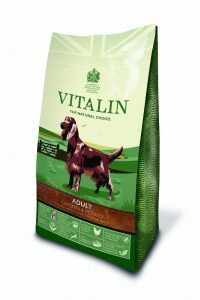 Vitalin Puppy, is suitable for puppies aged between one-12 months and has been produced to offer a balanced complete food to maximise growth and development. 100% British Chicken and rice are used to provide high quality protein which delivers energy. Vitalin Sensitive is made with 100% British Lamb and rice, to aid healthy skin and digestion. It is packed with nutrient botanicals and essential vitamins and minerals to help optimise health. Vitalin Adult is a complete dog food to enhance your dogs’ well-being. This gluten and cereal free food has 23% crude protein from 100% British Chicken and potatoes. Natural antioxidants from blueberries and rosemary are included to eliminate free radicals. Vitalin Senior/Lite is for older and/or overweight dogs. Made with 100% British Salmon and potatoes this balanced food offers a low calorie diet that still provides dogs with all the nutrients and vitamins needed for good health and well-being. To help aid joint suppleness, anti-inflammatory foods like Burdock root have been incorporated. The choice for bigger dogs is Vitalin Adult Large Breed. This food combines high levels of protein from 100% British Duck and potatoes with added vitamins and minerals. The three-strong range of new Super Premium Cat Food consists of Vitalin Kitten and Vitalin Adult Cat in two varieties chicken and salmon. Vitalin Kitten provides feline friends with high quality protein using 100% British Chicken. Vitalin’s on-site nutritionists have worked carefully with veterinary assistance to further enhance the food, making sure cats and kittens get only the very best. Vitalin Adult Cat is available in two flavours: 100% British Chicken and 100% Scottish Salmon. These varieties contain all the benefits that are found in Vitalin Kitten as well as added glucosamine, chondroitin and MSM to aid joint health. Vitalin Ferret has been carefully formulated as a nutritionally complete and balanced recipe for ferrets to provide all the nutrients required for a happy and healthy life. This hypoallergenic and wheat gluten free food contains high quality protein from 100% British Chicken with rice.